I promised on Facebook that I’d second line if Bama beat LSU, so enjoy this modified version since I didn’t get a parade permit. This special parasol was a gift that was made just for me, and I’ve been saving it for a special occasion. Last night’s 29-0 win over the Tigers (the eighth time in a row) definitely qualifies! I do go a little bit overboard on Game Day, but it’s all in fun. I love having a parasol that celebrates my favorite football team (next to the New Orleans Saints) as well as my family’s heritage. Cue up Rebirth Brass Band, because the Crimson Tide is rolling straight to the SEC Championship game! Bey rocked a $22,000 Gucci S/S 2017 print kimono with fur trim to the NBA All-Star game this past Sunday, and it’s such a chill yet “unapologetically glamourous” (per Vogue) look for the upcoming season–whether you’re expecting twins or not. And now that I’m really looking at it, a little fox fur D-I-Y may be in order. C'est Si Bon/Haute or Not?/Love That! “A strong spirit transcends rules,” Prince said. His music was for the nonconformists, the dreamers, the mad poets, the unapologetically funky. The first music I bought with my own money was a Prince cassette tape that I had to keep hidden because my Mama literally did not play that. Prince’s fight to control his catalog and own his image and presence as TAFKP set the stage for what we know now as intellectual property. He made it ok to be different, to be strange, to be artistic and creative and answer only to the muses in one’s head. I used to not get why people lost it over Elvis and The Beatles. But I’ll admit I felt some type of way when Johnnie Taylor and Luther Vandross died. I got it when Michael and Whitney died. But now I REALLY get it. I wanted to be Appollonia Kotero. I wanted to be Vanity. I would’ve been ok with trading lives with Lisa and Wendy (who played in his band and got to wear awesome pink furs and go on stage when he won an Oscar for Best Original Score in 1984). 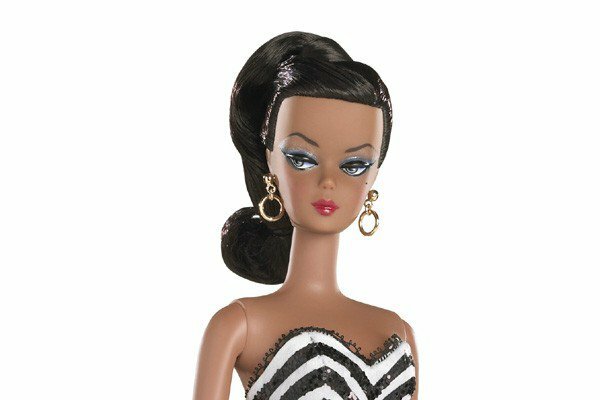 But I REALLY wanted to be Sheila E. When I was a little girl, I would dance and lip sync to “The Glamorous Life” in my babysitter Laura’s kitchen. I wanted to live that life when I grew up. When I became an adult I realized that in writing the song, Prince was reflecting “cynicism for the decadence and materialism of the song’s protagonist, referred to in the third person, who “wants to lead a glamorous life, although she is aware that without love, it ain’t much.” (Wikipedia) And in some ways, maybe you get a sense of that on this blog. I could listen to his music–or Whitney’s or Michael’s–and be five, ten, or fifteen years old again. Yesterday the music died for me. Maybe I’m not just crying for Prince. Maybe I’m crying for my aunt and my grandmother too, and the many ways in which the familiar, the beautiful, the precious, the irreplaceable and well-loved elements of my life are being erased and eroded. Prince’s music was always part of the soundtrack. If you have already read this announcement on Facebook or Instagram, I apologize! But I’m so excited to share that I’m in the January issue of Glamour magazine, which is on stands now! I am so used to writing away behind the camera that it was a shock to be the focus of a camera’s lens. The photographer had to remind me to breathe! It was also a great reminder to always be open to new adventures and to expect wonderful things to happen when you work hard. From the moment I was notified that I’d been chosen, to being picked up by a chauffeur, to the royal treatment I received in NYC – it was the trip of a lifetime, and I’m so grateful to Glamour and Estee Lauder for the opportunity. I quit my job to go to graduate school. Here’s how I did it. This time last year, I was putting on my crimson Keds and backpack for the first day of graduate school. I promised I’d tell you how I did it. And I was scared to death. From hitting the books…to the long commute…to covering the First Lady’s trip to Tuskegee…to SCDD’s shenanigans…to writing like my life depended on it, it was an experience I will cherish the rest of my life. THANK YOU for being part of the journey. Without further ado, click HERE to read about my journey back to ‘Bama. Special thanks to Kirsten Fiscus for the Denny Chimes photo. C'est Si Bon/First Person Fabulous/Haute or Not? Luxe for less? Read on! Elle reports Kim Kardashian spends an estimated $1,700 on her daily makeup routine (including tools). If you don’t have that kind of cash, there are ways to save on your beauty buys while still pampering yourself! I find that by shopping in a variety of places, I can be more selective. And saving on certain items leaves you a few more coins to splurge on pricy moisturizer or perfume. Urban Decay “All Nighter” Makeup Setting Spray, $14.00-$30.00 at Ulta: Need your look to last for hours? I swear by this spray, which is oil and paraben free and as stated, “stops makeup meltdown.” It’s for all skin types, keeps your makeup vibrantand creates smoother-looking skin without settling into fine lines. The travel size is perfect for your purse or vanity case, and smaller sizes keep you from stockpiling more than you need. Estee Lauder Take it Away Makeup Remover, $28 at department stores: When you’re finally ready to remove your “face,” try this soothing lotion: it removes longwear and waterproof makeup. It has a light citrus scent and leaves skin soft without a greasy residue. I received it as a free gift with purchase: so don’t throw those away! They’re great opportunities to try new products, and again, smaller sizes are easier to try, travel with and toss. L’Oreal Elnett Extra-Soft Hold Hairspray, $9.99/12.99 at Target: Ladies, if you’re searching for a hairspray that holds in our hot, humid climate, this is one to try. The smaller size is $9.99, BUT: a little goes a long way and it works! It gives hair high shine and satin finish, minus flaking–and you it doesn’t leave you with super-stiff “helmet hair.” And might I mention, it’s been around for four decades? C. Booth Mimosa Honeysuckle Shaving Oil, $5.99 at T.J. Maxx/$29.99 at Amazon: Talk about a deal! This oil softens hair, guards against ingrown hairs and enhances razor glide–plus it smells delicious! And a little goes a very long way. Check the price tag, then head over to TJ Maxx and Marshall’s for deals on major beauty brands. The Body Shop Honeymania Bath Melt and Exfoliant Creme, $5.99 each at T.J. Maxx/$13-15 each at Amazon: These are full size, super-pampering products also found at TJ Maxx, for $5.99 each. Soak in the Bath Melt bubble bath, exfoliate with the creme (before shaving with #5!) and still have money left in your wallet. Tune in to Talk of Alabama this Thursday! Toss some sequins and tune in to ABC 33/40 this THURSDAY (8/13): I’ll be sharing some news you can use during the 9:00 hour! Not in the local viewing area? Try live-streaming it by clicking HERE, or catch the video when it’s posted later by clicking HERE. If you haven’t visited the Birmingham Museum of Art, please make your way there. The regular exhibitions are awesome; but I had the privilege of viewing both Black Like Who? and Rising Up: Hale Woodruff’s Murals at Talladega College last night. Both are moving exhibits that provide visual, social and cultural commentaries relevant for today. I can’t remember the last time I walked into a museum and wanted to cry, just because something in the art connected with me so deeply. Okay, I’m a known crier anyway, but the pieces just grab you! Although I’d definitely heard of Hale Woodruff’s murals, nothing prepared me for the beauty, dignity and triumph in the bold paint strokes he used to depict the Amistad case as well as the building of Talladega College. And as for Black Like Who?, if you don’t walk out seriously contemplating identity and beauty–you may have missed the point totally. The collection includes works by renowned Elizabeth Catlett, as well as two with Alabama roots. Go. Soak it up. Come out changed. I’m already figuring out when I can go back. The museum has ArtBreaks, lectures and public tours scheduled throughout the month of August. And if you stay for lunch at Oscar’s, attending selected events on certain days will get you a free dessert! Rising Up closes September 6; Black Like Who? closes November 1. And don’t forget: Art on the Rocks is this Friday! Photo of mural via the Birmingham Museum of Art’s Instagram account. All other photos taken by AEB.